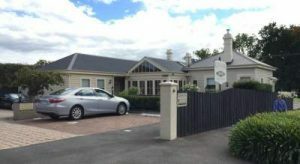 Kurrajong House Bed and Breakfast Launceston Tasmania Holidays. All rooms have a flat-screen TV, a refrigerator, and a bathroom with free toiletries. The King Rooms are located in the main house and offer access to the after-hours guest lounge, while the Queen Rooms are located have a private entrance from the courtyard. Your breakfast includes eggs, bacon, sausages, mushrooms and tomatoes, and your choice of cereal, yoghurt, juice and toast. Kurrajong House Launceston is 15 minutes’ walk from the Tamar River and Aurora Stadium. Launceston Airport is 15 minutes’ drive away. There are a number of restaurants and cafés within a 5-minute walk. Accommodation 5 rooms. Tasmania Bed Breakfast. Edinburgh Gallery Bed & Breakfast is only 5 minutes’ drive from both Sullivans Cove and Salamanca Place. Hobart International Airport is a 20-minute drive away. All rooms are individually decorated and feature details such as Persian rugs, exposed brick walls or original artwork. Each room has a TV and a minibar. Edinburgh Gallery Hobart offers a guest laundry and a communal lounge with a TV and DVD player. The breakfast room includes a refrigerator, a toaster and tea and coffee making facilities. Latest booking: 10 hours ago Tasmania. Trevallyn House Bed & Breakfast is within 15 minutes’ drive of Launceston and Cataract Gorge. All air-conditioned accommodation offers a refrigerator, tea/coffee making facilities and electric blankets. Each bathroom offers a shower, hairdryer and free toiletries. Some accommodation also offers a kitchenette. Breakfast includes your choice of fresh seasonal fruit, cereals and toast or country-style eggs, smoked salmon and bacon. Latest booking: 5 hours ago Tasmania. Tranquilles Bed & Breakfast & Spa provides a choice of well-appointed rooms with air conditioning. Each room has a TV with a DVD player. Tea and coffee facilities are also provided. Guests can relax in the communal lounge area with a fire place or read a book in the conservatory overlooking the courtyard. Breakfast is served in the Quilles Cafe, which also offers a range of wines. Tranquilles is located a 15-minute drive from Devonport. Tasmania’s attractions such as Cradle Mountain, Tamar Valley and Narawntapu National Park can be reached in less than an hour by car. Free private parking is available on site. Tasmania Bed Breakfast. Informative and entertaining travel documentary about Australia’s island state of Tasmania that covers many of the outstanding scenic, wildlife and cultural aspects of this special place. Your guide, Robert Stephens, takes you to Battery Point, Rektango, Salamanca Market and MONA (Museum of Old and New Art) in Hobart. He then heads to Bruny Island to go on Bruny Island Cruise, then to the 500 acre Inala Conservation Property of Dr, Tonia Cochran. She shows the rescued wildlife in her care that includes an Albino Bennetts Wallaby, a red neck Bennetts Wallaby and a Rufous Bellied Pademelon. Dr. Cochran also talks about her work with one of Australia’s rarest birds, the forty spotted Pardolote. The tour finishes on Bruny with a visit to see a wild Echidna at South Bruny Island National Park and Lighthouse, and a dusk vigil to see the the Little or Fairy Penguins at the Bruny Island Isthmus Rookery. The tour heads north to the Midlands towns of Ross and Oatlands, and then on Launceston and Tasmania Zoo to see Tasmanian Devils up close. As the video closes, Robert heads to the Freycinet Peninsula to see Wineglass Bay. Take A Break Holidays takeabreakholidays, Tasmania Bed Breakfast Accommodation.